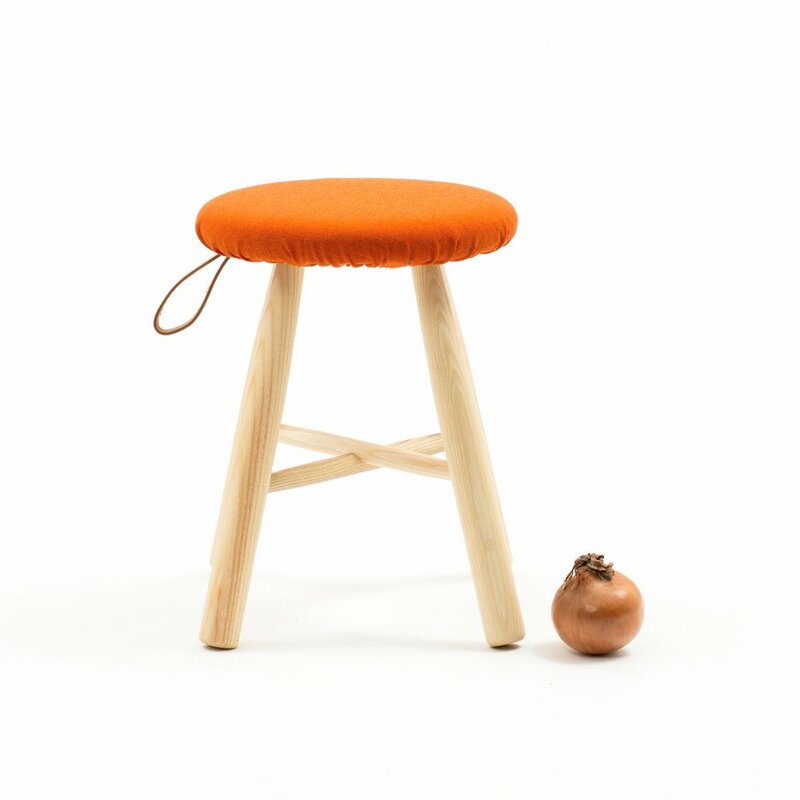 The hide handle is a practical and decorative element, making the most classic of stools new and different. 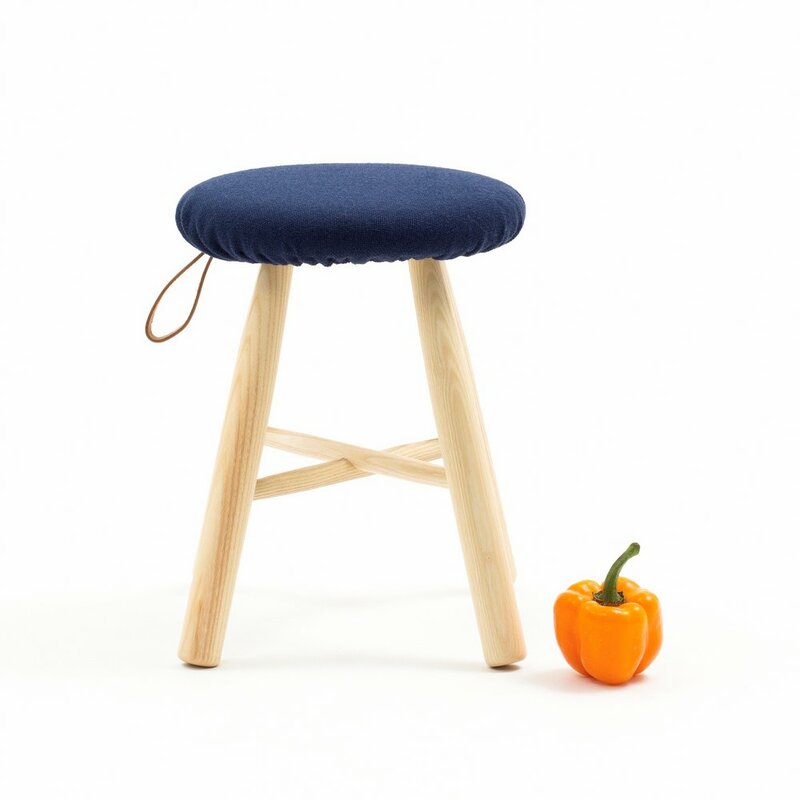 The stool is made with craftsmanship and care, and the upholstery it is both removable and interchangeable. The fabric cover is a quality wool ?cap? available in a wide variety of colours for the different seasons.